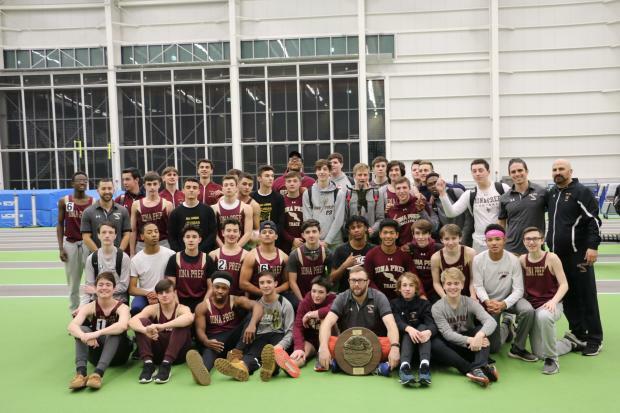 Ocean Breeze was home to one of the most storied Championship meets in the country this Saturday, and the annual CHSAA Intersectional Championships didn't disappoint. We pulled out the five biggest stories from the meet, but you can catch all the races right here on MileSplit. 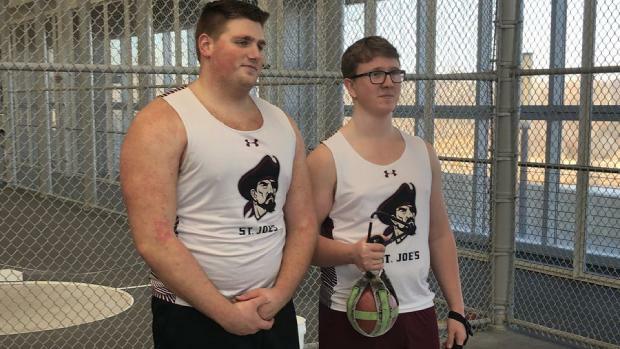 It was a big day for the St. Joseph Collegiate throwing squad, as William Gross and Tyler Doty swept both the Shot Put and Weight Throw. In addition, Gross (right) becomes just the fifth thrower in State History to throw over 50ft in the Shot, and 70ft in the Weight. His winning toss of 70-0.5 is now US #4 for the Weight Throw. 2. Brianna White Dips Under 40-seconds for 300m. Junior Brianna White (Bishop Loughlin) became just the third girl in the State to dip under 40-seconds in the 300m, hitting 39.94 for the win at CHSAA's. The mark is an unofficial school record, of which White also set for the 55m at NY/BQ's. It was only a half-point win for the prep, the half point coming from a split point in the High Jump. Still, Iona came through with several clutch performances, including a NY #4 mark from Louis Logsdail to win the Pole Vault in 15-0, and a NY #3 win for Pedro Bravo in the 3200m, at 9:17.07. It's only the third year since St. Joseph-Brooklyn has field an indoor program, but they're making waves in their short tenure. Their girls' relay broke 4mins to win the CHSAA Intersectional title, making them only the second team to do so this season (more broke through at Millrose later that day). They've also run 1:47.75 for the 4x200m and 9:47 for the 4x800m, making them one of the most well-rounded teams out there. They may have once held the Indoor 4x800m State Record, but 4x200m may not be the first thing you think when you hear about Chaminade. That should change in 2019, as they drop a full second off their school record to win the CHSAA Champs in 1:30.39. That new mark brings them to NY #5 in the event.